We're not kidding you - these travel destinations actually exist and aren't a figment of your imagination. Be prepared to have your mind blown as you browse through these amazing photos. Have you ever hear about the fields off buckwheat flowers blooming marvelously and carpeting all over the mountains with its light pink color? If you heard it once, you might know some information about the most beautiful place not only in the north but also in Ha Giang province, Vietnam; Ha Giang is known for its green forests and granite mountains, this is also famous for the narrow ribbon roads blending with the dramatic scenery and colorful minority villages with their unique culture and lifestyle. 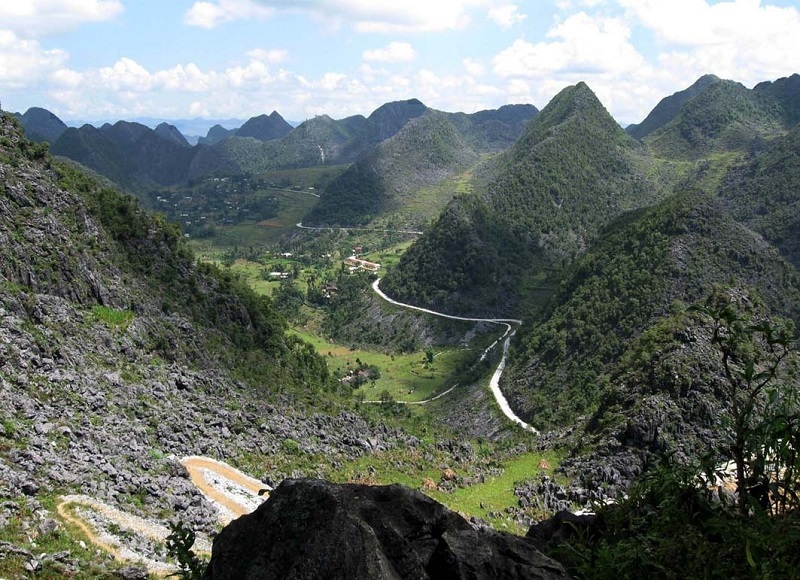 Ha Giang to home to hundreds of spectacular vantage points. However, few can compare to Ma Pi Leng Pass. Outdoor markets are a regular occurrence in Ha Giang, with residents traveling to attend these weekly or monthly events. One of the most thrilling is the Dong Van Market, which is held on Sundays. With its aqua-green water and cluster of limestone rocky outcrops rising from the water like sea dragons, Ha Long Bay resembles a scene from a fantasy story. Located about 130 km (80 miles) east of Hanoi in northern Vietnam, this otherworldly bay features more than 2,000 jungle-covered islands pitted with intriguing caves, grottoes, sinkholes and lakes. 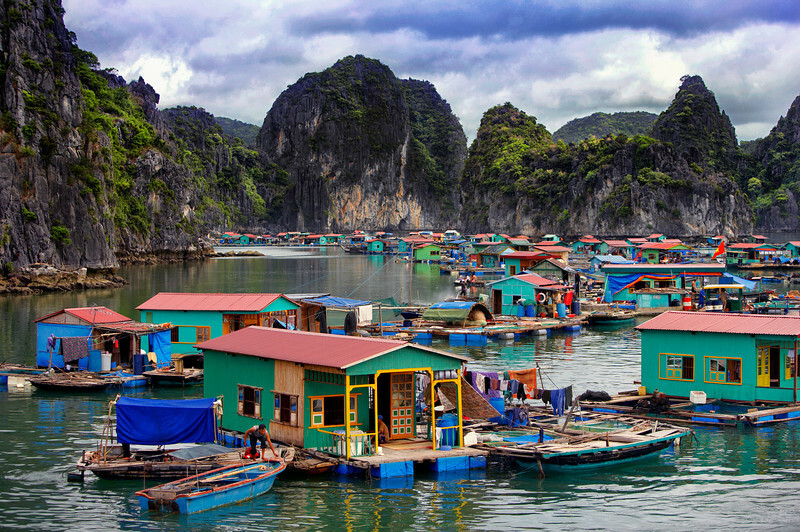 For something special, make a trip out to Ha Long Bay’s floating village. Many of the islands have been sculpted over the centuries by natural processes into fantastic formations. The spectacular cascade marks a border between two countries. Originally two waterfalls get divided into several smaller plunges because of the rocks, that separate them. It is the fourth largest waterfall after Iguazu, Victoria, and Niagara Falls, that mark a national border. A lot of endemic plant species are also found in these wonderful surroundings. 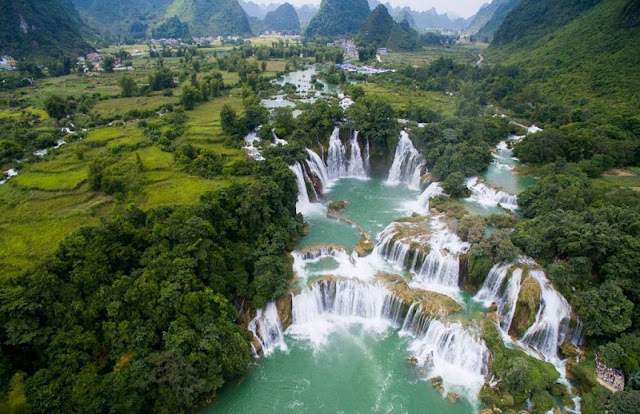 The double waterfall is best admired from the Vietnamese side, but also can be reached from China. Vietnam's Phong Nha-Ke Bang National Park is home to the world's largest cave -- a place few people have visited. These incredible snaps giving a glimpse inside the world's largest cave will take your breath away. With the eerie green glow inside the mystical, echoing cavern, Vietnam's Hang Son Doong cave looks like it could be on the edge of the world. The huge cave - large enough to fit a 40-storey skyscraper - is so massive that it has its own climate, and clouds even form inside it. A real underworld here! 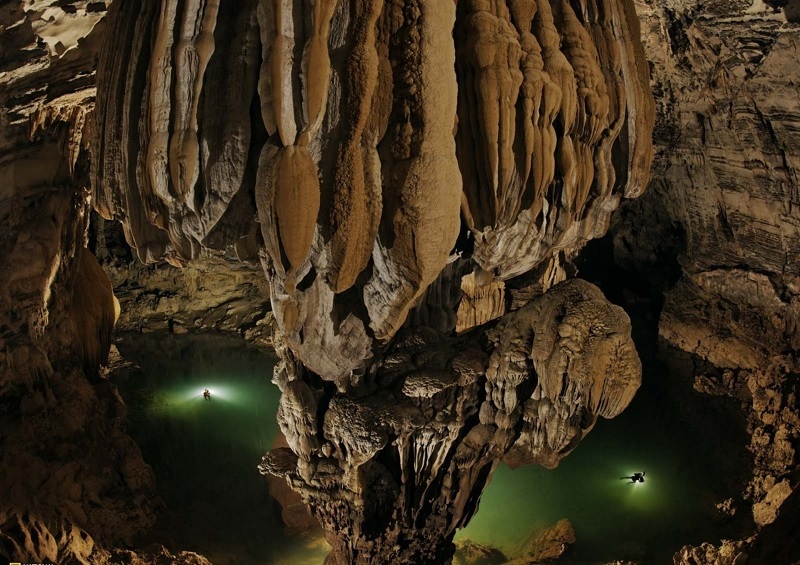 Son Doong is rich in cave pearls – the calcite crystals, formed over the centuries. 300 million years old fossils are also found here. New species of plants were discovered around the river and waterfall.